Can you tell what is going on in this picture? Will is rockin‘ a dumbbell clean…. Now that’s elbows high and outside!! The first workout for the CrossFit Open will be released this evening- WOO HOO!! Let the games begin! We have created a virtual team, CrossFit Junction, so log into your athlete registration at games.crossfit.com and JOIN our team! Don’t forget, if you cannot make the first Saturday (4/19) workout at CrossFit Agoge in Montrose at 11am, we will be running the released workout through all classes this (and each subsequent) Wednesday. So, if you cannot make it to one of the Saturday WOD’s (or prefer to keep it on the down-low), make sure you get your performance validated during one of our Wednesday class times. 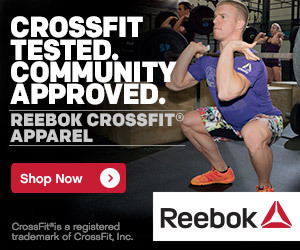 This offer is certainly open to any and all CrossFitters! !